Do you need some Bluetooth earbuds? 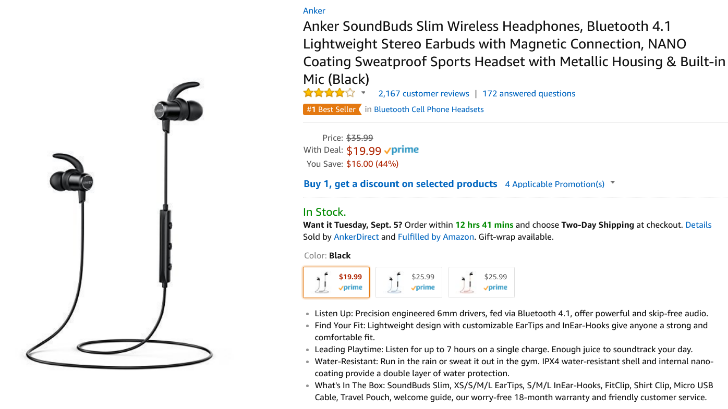 Maybe you're looking for a new pair for exercising, or you just bought a phone without the trusty headphone jack. Whatever your reason, one pair from Anker is down to just $19.99 - a $16 reduction from the usual price. It's also the lowest price we've seen yet.